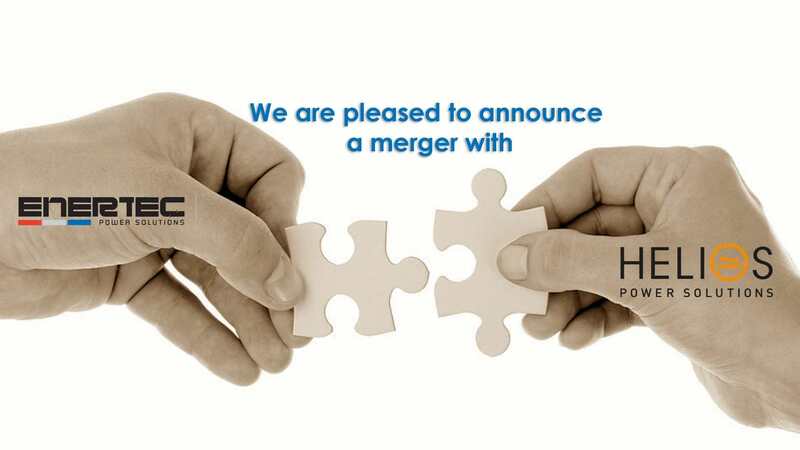 We are delighted to announce that as of 1 November 2016, Enertec Power Solutions Ltd will become part of Helios Power Solutions Ltd (formerly Innovative Energies Ltd) in Auckland. With the addition of the Enertec product range and their highly qualified staff, Helios will be able to provide an unmatched range of industrial power solutions to the NZ market. All of the current Enertec staff will be joining the new entity; customers and suppliers can expect the same high level of service and to deal with the same people they do at present. Both companies have been in existence for around 30 years, focusing on technical strength, high service and quality levels and innovative solutions to industrial power requirements. New products include the Riello range of AC UPS from Italy, Ablerex AC UPS and battery monitoring systems, Erico lightning and surge protection equipment and a range of other industrial power products. All of these are backed up by qualified service personnel and the ability to commit to long term service agreements. These products and services are complementary to the current Helios offer and the combined technical depth of the business is unmatched in NZ. In addition, we will now be able to provide improved service levels to the whole country, with increased technical sales resources in Auckland and people on the ground in Wellington and Christchurch. Helios Power Solutions is 100% NZ owned and includes the NZ business and operations in Sydney and Singapore. Taspac Energy is an associated company based in Henderson that focuses on distribution of leading products for the solar industry.